Generally, everything I knew about United States either came from International news agencies or Hollywood movies so to actually live here after being in two tropical countries is definitely a remarkable experience. Here are some of my amazing discoveries/experiences in more than two months that I have been here. 1. Sun, snow, wind, and rain can all come in the same day. Weather forecast is particularly important before you start your day. There are days I would wake up that the sun is so bright but before long, snow starts to fall. After a while, you would feel the chilly wind then the snow turns into rain. Not necessarily in that order. Sometimes you wake up that it’s snowing so heavily then suddenly the sun is shining brightly. Whatever you do or are planning to do, tune in for weather updates. 2. Cars in the ditch are normal. Well, at least during winter. 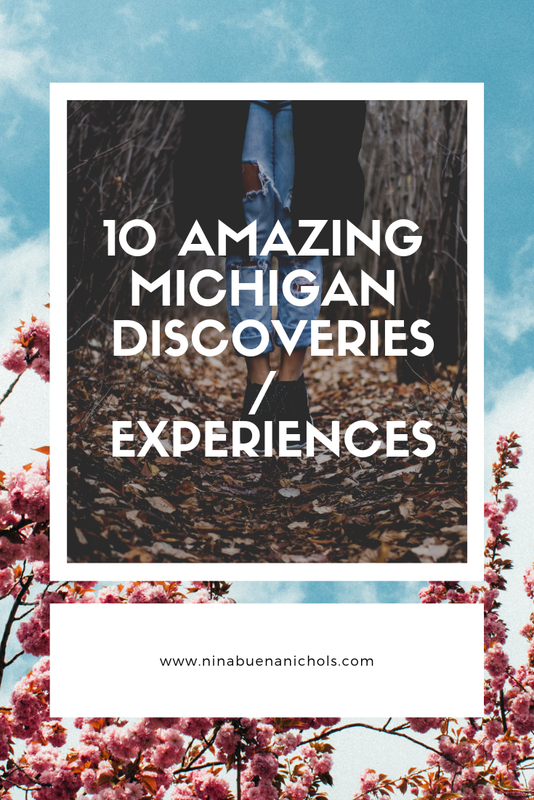 I remember traveling with my husband going to Kalamazoo during a really heavy snow fall and seeing cars in the ditch and even witnessing the cars slide then helplessly skid at the side of the road. My husband always tells me, if you live in Michigan, you need a Dodge Ram. 3. Grace before meals. The first time we were invited for a dinner with my husband’s family, I was surprised when they held hands then started praying together. Then the following week, we were invited for a dinner again by a family friend and they did the same thing. Several invitations after that, the same thing happened. They do pray even in restaurants. I feel so sorry and naïve but news in International agencies has always something to do with mass shootings and Hollywood movies are not the best portrayal either. It is an important realization that not everything you watch or read is what it seems in real life. 4. Everything is instant. When I was in the Philippines, I needed to measure the flour, baking soda, butter, and other ingredients in baking. When my husband asked me to bake a cake for him, I opened the box with ready to bake cake, added eggs and water, mixed them all, then put in the oven. Then I made cookies by simply opening the box and arranged the cookie dough on the tray then baked. Want rice? Half-cooked rice which is ready in five minutes are available, too. The best is corned beef which is my favorite. Where I came from, you need to cut potatoes by strips if you want it mixed with your corned beef. Here, you open the can and voila, corned beef with potatoes ready to eat. 5. Almost everything is big. 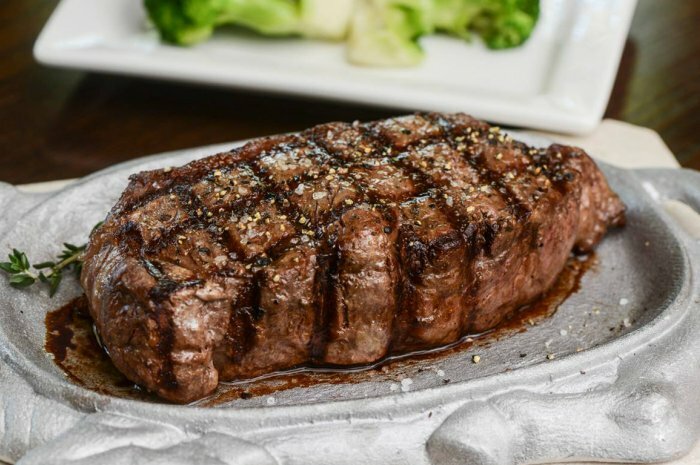 Imagine a 24-ounce steak in a single meal or an eggplant three times bigger than ours in the Philippines. In short, the serving is big. And I mean enormous. My eyes grew big whenever they bring my order in a restaurant. You will know what I mean about the difference when you visit MacDonald’s Philippines and here. 6. Eating ice cream while everywhere is covered with snow. 7. They love football. The first time I watched football, my husband’s sister explained the rules to me. But, that wasn’t what amazed me but the fact that families came together and we were out seated on a freezing bench and we had a lot of fun. They love football so much that the next time we watched it, we drove to Detroit which is more than three hours from where we live. Another three hours going back home at the middle of the night. After watching only twice, I have fallen in love with it hook, line and sinker. 8. Nice people especially neighbors. I lived in three places in the Philippines and several in Indonesia before moving here. I have never experienced a neighbor coming over to welcome me and bringing me cookies. The next day, they brought me chicken pie and reminded me that whatever I need, I can always go to their place. In addition, everyone I met so far has been really kind and welcoming. I have never met these many people in a short time who can be so warm and kind to a stranger like me. where my husband buys his sandwich. to my husband talked to me on the phone. 9. Traffic is almost non-existent. Whenever the traffic light turns red and there are about three cars in front of us, my husband would joke that traffic jam is so bad. From where I came from, traffic jam is a daily occurrence and something that you need to endure whenever you go out. It’s amazing that everybody here has more than one car but there is no problem with traffic. No wonder there is such thing as American time. They don’t need to deal with traffic jam. 10. Lastly, the place is stunningly beautiful. In fact, I am in a complete awe that a place like this exists. I came right around fall and the color of the trees was amazing. I lost myself in trance soaking with the beauty all around me. My husband brought me near the lake where you can gaze at beautiful big birds. It was so surreal being so near with them. He also brought me in another lake where the sunset was so beautiful and the sound of the waves was like music to the ears. It was truly a magical experience. 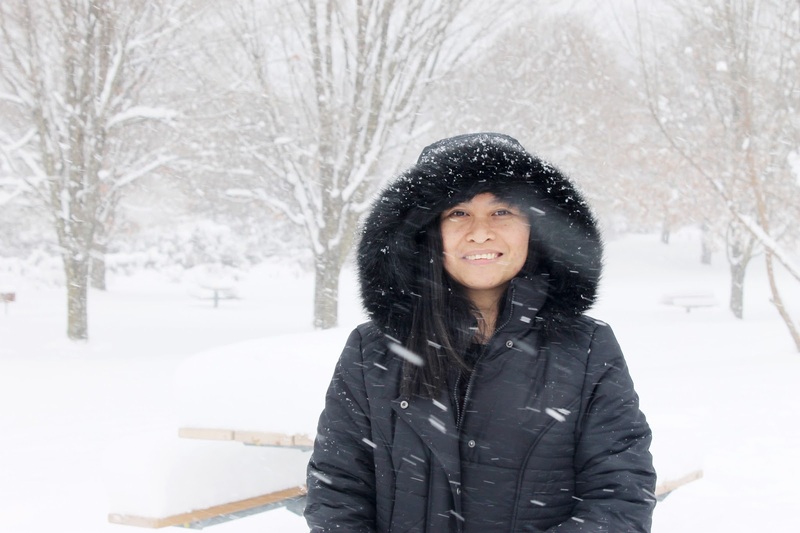 I will never forget also the first time I experienced looking all around seeing nothing but white while the snow falls and listening to Christmas song. There is just simply no words to describe the experience. My first time to ride a four-wheelers. It was awesome! Sunsets are so beautiful in Michigan. My husband once asked me what my thoughts were when I was in the plane on the way here. At first I was scared, but, there was nothing that I wanted but to live a life with him. So, I jumped out of my comfort zone- a familiar place, a stable job, friends and family left behind, and finally realized how blessed I am living in a new place I call HOME. Michigan is amazing, I have heard.. I have a friend who has been inviting me and sending me similar photos. I think i just need to plan one soon. Lovely post. Thank you! It's definitely beautiful! I have heard that Michigan is great. These discoveries are amazing. I wish to visit there too. What a beautiful post and I am so happy that you are loving it here! I was born in the US but have never been to Michigan and definitely need to. I live outside of NYC and you want to talk about traffic jams.... it is probably more of what you remember from home :) Enjoy and you look so happy that it brings a smile to my face. "Eating ice cream while everywhere is covered with snow." Welcome to the north! You can eat ice cream in any weather! I love Michigan and have visited the state a few times. I must visit again with this list. This was a nice read, seeing Michigan in all kinds of weather :). Thanks for sharing! "Sun, snow, wind, and rain can all come in the same day" Nothing could be more true about Michigan! Today we've had rain, hail, snow and crazy winds! This reminds me of the small Kentucky town where I grew up! I need to plan a trip to Michigan, it's been years since my last visit. What a beautiful Ode to your new home. I spent every summer and winter driving through Michigan (all the way from Victoria, British Columbia), to visit my grandparents in Ontario. It truly is a beautiful state, with some of the most intense weather I've ever experienced, and friendliest people I have ever met. You're making me miss it! This was fun to read, an interesting perspective on the US. We live in Florida, so no snow or freezing cold for us. But, it looks beautiful in pictures! Welcome, and I hope you keep loving and cherishing your experience in your new home.